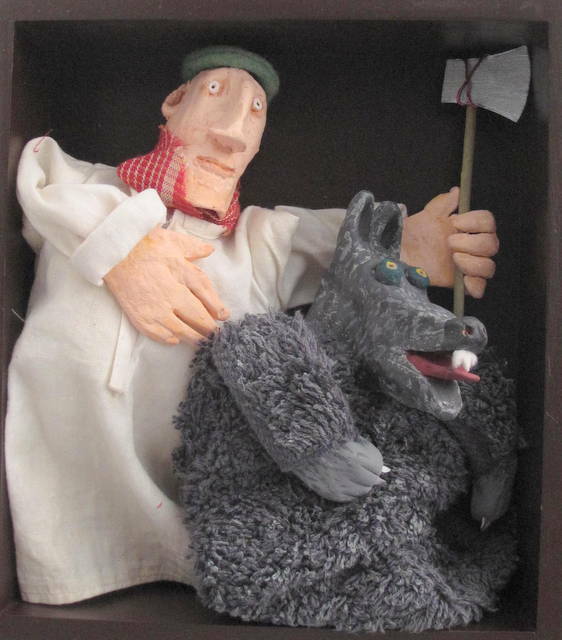 Shellie Byatt took part in the Clive Hicks-Jenkins’ Puppet Challenge and then used her puppets to make figures for a box in the nutshell series. The woodcutter’s shirt was ripped, untimely, from an innocent dolly. 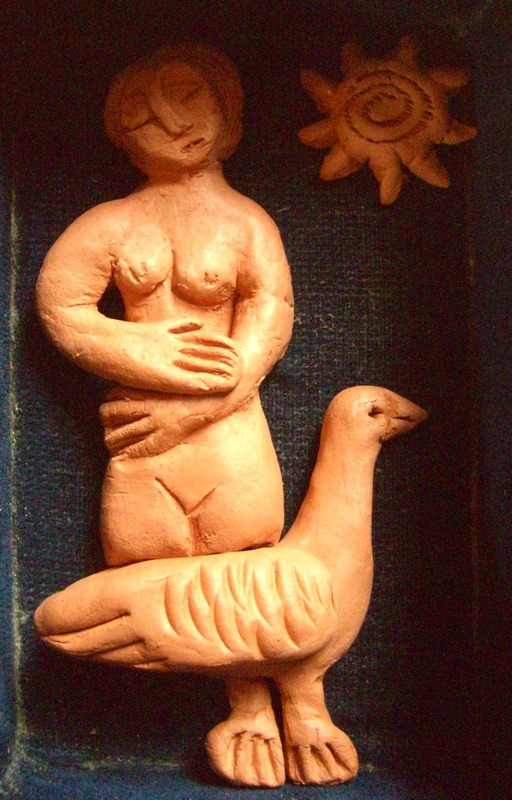 A simple, unpainted clay piece by Adrienne Craddock, refers to the Goose Girl or Mother Goose. The figures are housed in an old leather jewellery box, much-loved but minus its lid. This entry was posted in Uncategorized on January 17, 2015 by chestnutandhazelnut.